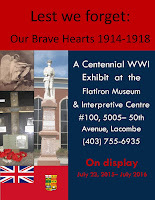 In conjunction with its current exhibit Lest We Forget: Our Brave Hearts 1914-1919, The Museum will be displaying copies of the Lacombe & County Honour Roll that memorialize each individual who served in Canada’s Wars from the Lacombe and Lacombe County Region. Unfortunately, the list may be missing certain names and dates due to the state of current historical records. Please alert one of the museum staff members if missing information is known. With the public's assistance, it is our goal to Honour all who have served in the Canadian Armed Forces the from Lacombe and Lacombe County Region. 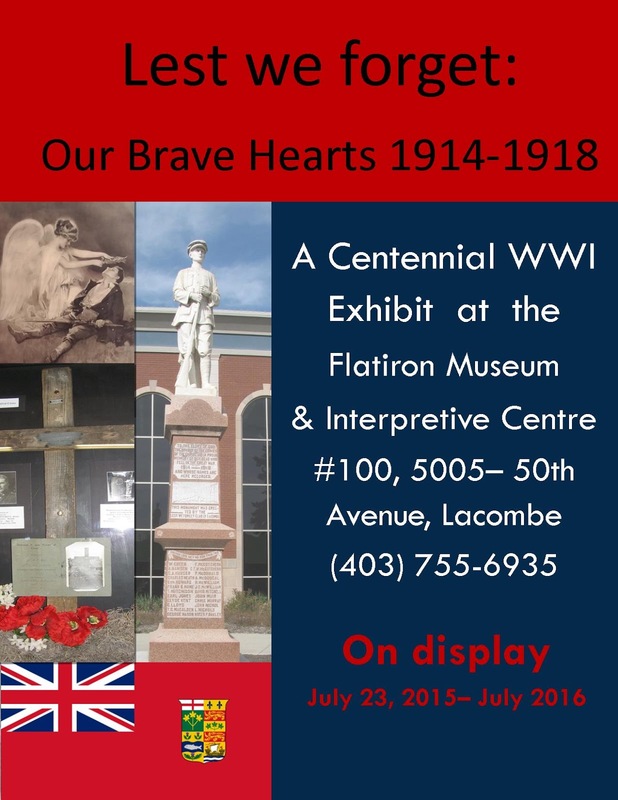 This centennial WWI Exhibit explores the local contribution of veterans from the Lacombe & County region. Artefacts on display include items from the collections of the Michener House Museum & Archives, Bentley Museum, Alix Museum, Mirror Museum and the Lacombe Legion. Get involved with the Historical Society!